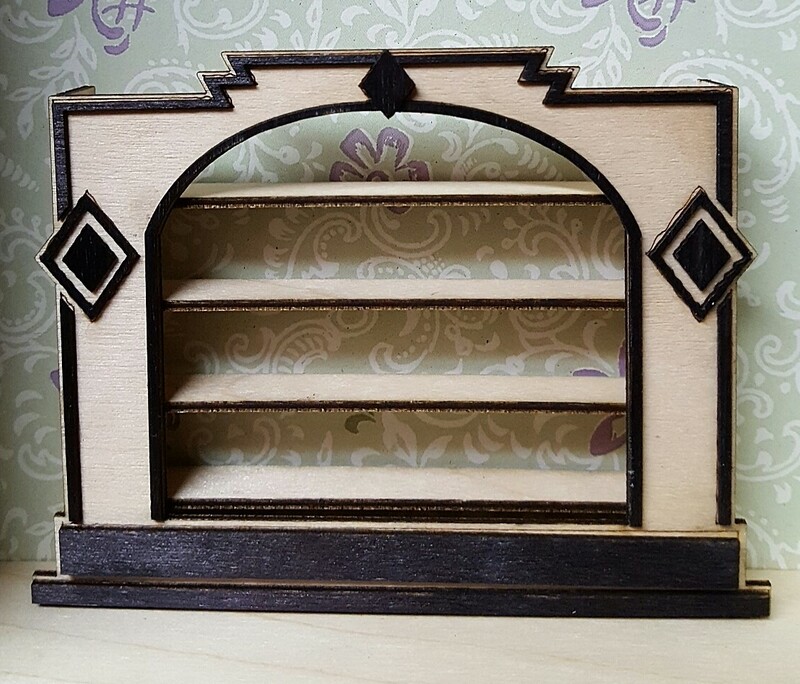 Home :: Kits - Half Scale :: Art Deco Display 1/2"
This half scale kit is laser cut for accuracy. It is aprox. 3 inches wide, 4 inches high and .75 inches deep. The instructions includes photos of the assembly process.